What would Lutheranism have to show in the cause of world evangelization if it were not for the Pietists?” So opines a critic of Pietism who concluded at last that its defects were overshadowed by the renewed interest in missions it stimulated. “Pietism” is the term applied to a movement beginning in the latter part of the 17th century in Germany. Its defenders describe it as a positive response to a drift toward mere formalism among many of the orthodox Lutherans. Its detractors label it as negative and legalistic and, ultimately, a catalyst for rationalism. Philip Jacob Spener is generally regarded as the “father” of Lutheran Pietism. In 1675, as an attempt to address the spiritual conditions as he viewed them, Spener published his Pia Desideria (pious desires) in which he not only offered his analysis of the state of the Church but also offered several proposals aimed at renewal of spiritual life. Reminiscent of Luther’s 16th century rediscovery of the gospel, Spener called for a renewed appreciation and application of “the priesthood of all believers” (cf. I Peter 2:9). Much of the alleged spiritual lethargy was the result of inadequate use of the laity in his estimation. He contended that the common exercise of spiritual gifts was critical to a renewal of spiritual life. The small-group Bible studies (collegia pietatis) that emerged as one of the first developments of the Pietist movement provided an opportunity for the use of those gifts. By the middle of the 18th century, Pietism had waned considerably as an identifiable movement. However, its multiplied beneficiaries and adherents continued to make a profound impact in Germany and elsewhere not only on church life but also in society. Pietism emerged ultimately as a vast missionary movement extending the gospel in many parts of the world including colonial America. Pietism’s influence among Lutherans in America is readily observable in several of its church groups. The principal organizer of American Lutheranism, Henry Melchior Muhlenberg, was commissioned to go to America in 1742 by August Hermann Francke, a Pietist leader. The German founders of the first Lutheran congregation in Pennsylvania in the early 18th century had brought with them Luther’s Bible, his Catechism, and a devotional classic used by the Pietists, Johan Arndt’s True Christianity. The founder of the Lutheran Church—Missouri Synod, C.F.W. Walther, though eschewing the excesses of later Pietists, had saturated himself with the writings of Spener and Francke as a student in Germany. A deeply pious man, Walther balanced emphasis on doctrinal purity with a living faith. The ELCA reflects the influence of Pietism among its constituents, particularly those of Scandinavian and Finnish descent. The Norwegian-American descendants in the ELCA as well as in smaller groups such as the AFLC (Association of Free Lutheran Congregations) and the CLB (Church of the Lutheran Brethren) trace their spiritual moorings in large part to the Pietist revival movements in Scandinavia. * The centrality of the Bible, inspired, authoritative, and effective in accomplishing God’s purpose to save the “lost” and sanctify the “found.” To the extent that Pietism has relied on the Word it has made a positive impact. * The necessity of a “living faith.” Though the Sacraments are efficacious “Means of Grace,” wherein faith is created and nurtured, the baptized need to have a “living faith,” which is not mere intellectual assent to the Gospel but personal trust in Christ. * The urgency of missions as incumbent upon the church in every age. From the beginning of Pietism, the missionary enterprise has loomed large as a central purpose of the church. The “best of Pietism” has contributed immensely to the progress of the Christian church. Such a renewal of the Pietist centralities in our time would greatly contribute to the extension of God’s Kingdom. 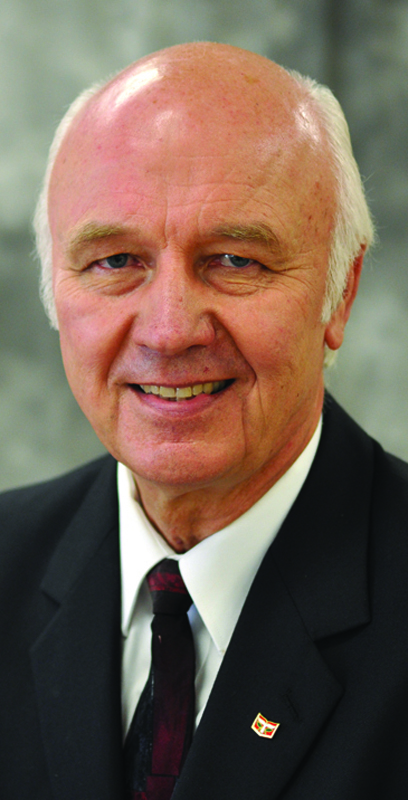 Francis W. Monseth is dean of Association Free Lutheran Theological Seminary in Plymouth, Minnesota.